The Epstein Family Collection, Washington, DC; Gift 2013 to NGA. 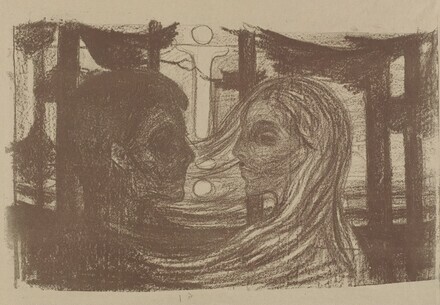 Munch and Women: Image and Myth. Exh. organized and circulated by Art Services International, Alexandria, VA. 1997, no. 22. Edward Munch's "Mermaid". Philadelphia Museum of Art, 2005. Edvard Munch and the Sea, Tacoma Art Museum, 2016. Schiefler, Gustav. Verzeichnis des graphischen Werks Edvard Munchs bis 1906. vol. 1. Berlin, 1907 (reprinted 1974); and Schiefler, Gustav. Edvard Munch. Das graphische Werk 1906-1926. vol. 2. Berlin, 1927. (reprinted 1974).